Captain James Cook first ship was to be the HMS Endeavour, of 366 tons, built as the collier Earl of Pembroke. She was a small, sturdy “bark”, an unpretentious ship which had been employed in both the coastal and the Scandinavian. HMS Endeavour became the first ship to reach the East coast of Australia, when Cook went ashore at what is now known as Botany Bay. HMS Endeavour then sailed north along the Australian coast. Captain James Cook’s first ship was to be the HMS Endeavour. A small but sturdy ship, the HMS Endeavour was the first ship to reach the East coast of Australia, where Cook went ashore at what is now known as Botany Bay. He then sailed the HMS Endeavour north along the Australian coast. This ship has since become an Australian icon, with the story of Captain Cook’s discoveries taught in schools’ curriculum all across the country. 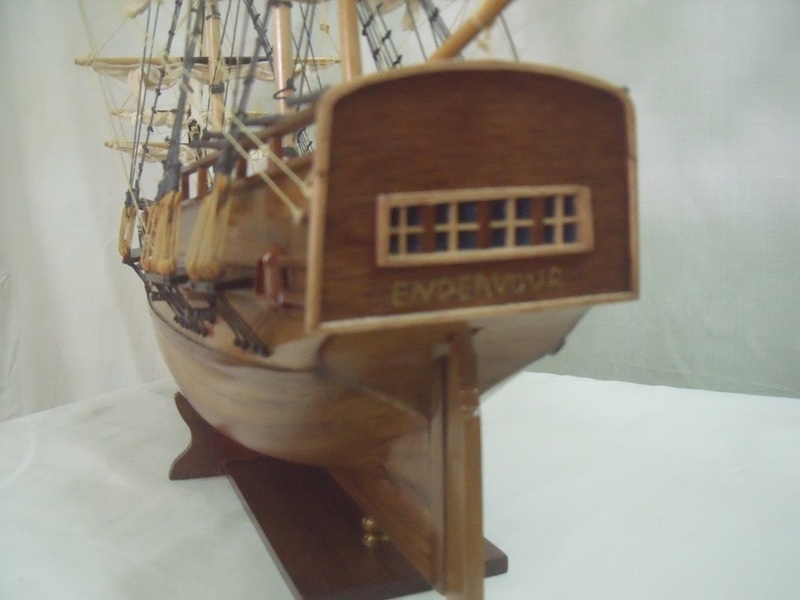 Add the Wilhems & Green HMS Endeavour to your collection today which is a Museum Quality replica of the original ship. Captain James Cook’s first ship was the HMS Endeavour, of 366 tons, built as the collier Earl of Pembroke. She was a small, sturdy “bark”, an unpretentious ship which had been employed in both the coastal and the Scandinavian trade in which Cook would have felt thoroughly at home. Just 97.7 feet (29 metres) on the lower deck, her beam was 29.1 feet (9metres). Refitted for the expedition, her hull as doubled with oak to resist against worm, this oak being heavily studded with wide-headed iron nails. Her total complement of scientists, officers, marines and seamen as ninety-four when she sailed from Plymouth on 26 August 1768. Thirty-eight were to die and one was to desert before the ship returned to Dover on 12 May 1771.Chief among the scientists was Joseph Banks who struck up an immediate friendship with Cook. It was an unlikely alliance, but a critical one for both men and although Banks did not accompany Cook on his subsequent voyages. Cook was to enjoy Bank’s confidence to the end. Captain James Cook doubled Cape Horn, crossed the Pacific by way of Tahiti where he carried out his mission of observing the transit of Venus, coasted New Zealand and the Great Barrier Reef of Australia and returned by way of the East Indies and Cape Town. The accuracy of his running surveys has to be seen to be believed. 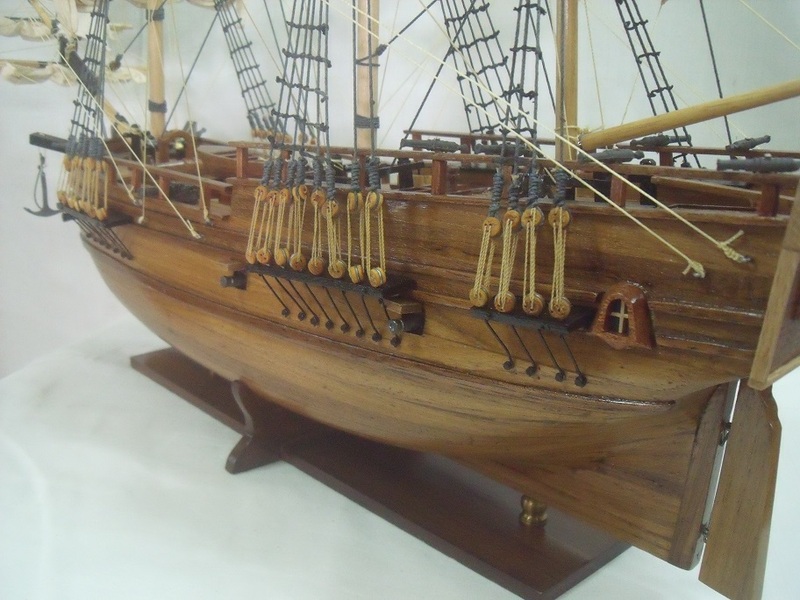 The Wilhems & Green HMS Endeavour is made to the highest level of detail and accuracy to satisfy a true model ship enthusiast. 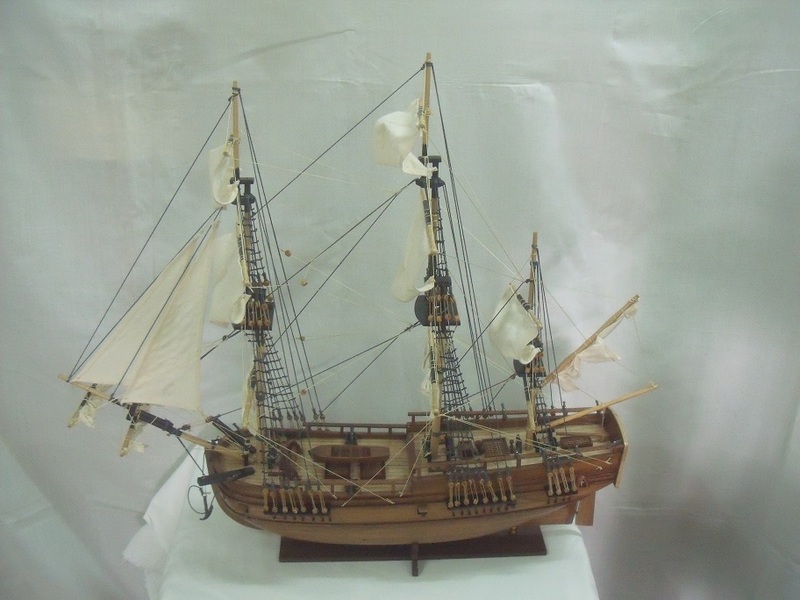 Buy the HMS Endeavour online today from Wilhems & Green and we will throw in a free Perspex display case to ensure your model ship is duly protected from excessive tampering and normal wear and tear. We also supply a wide range of other iconic model ships and we provide an excellent after sales support to further enhance your customer service experience at Wilhems & Green. Any questions? Get in touch.  Every model is built according to original plan and to scale. The maximum details are collected to make our models as accurate as possible.  The best wood is selected – Grade A: Teak, Oak, Beech, Mahogany.  The hull is made of mainly teak which among the best wood to resist any environmental changes. As teak is rich in oil, it is obvious that the models will last for long.  Other kind of wood are used in the manufacture of small pieces such as cabin, capstan, blocks, and mast and so on. (wood used are: beech, oak, rose wood and mahogany).  Shaping of the hull: The skeleton of the model is in plywood. It is very important to clue the couples as near as possible to have the most accurate form of the hull.  The latte of teak use to plank on the skeleton is of 4 mm thickness. They are not only glued but also nailed. The deck also is planked. Note that the line of symmetry is carefully verified so that the planks on both sides coincide.  The hull is sanded with different grade of sand paper to have a smooth surface so as have the best finish when applying varnish. Three to four coats of varnish are applied. Before the application of each layer of varnish, the hull is sanded. Some models are partly painted.  Starting from block of teak wood the figure head, decorations for the back and fore castle are hand carved. The craftsman should be very skilled to replicate the details which will enhance the beauty and the quality of the models.  Dead-eyes, bell, barrels, capstan, balusters and cannons are turned and shaped individually on a lathe. Other details such as ladders, gun chariots, lifeboats need great attention. The sizes of these details varied according to the scale of the models. This is a very vital operation as all details should be positioned in their respective place.  Solid wood is selected for the mast as it is important for the rigging. Most of the masts are in two or three parts. The mounting of the mast demands a lot of concentration for their straightness, especially with complicated crow nest.  As for the rigging, threads of different thickness and colours are selected to be closer to reality. The thread is waxed to avoid them from becoming loose. 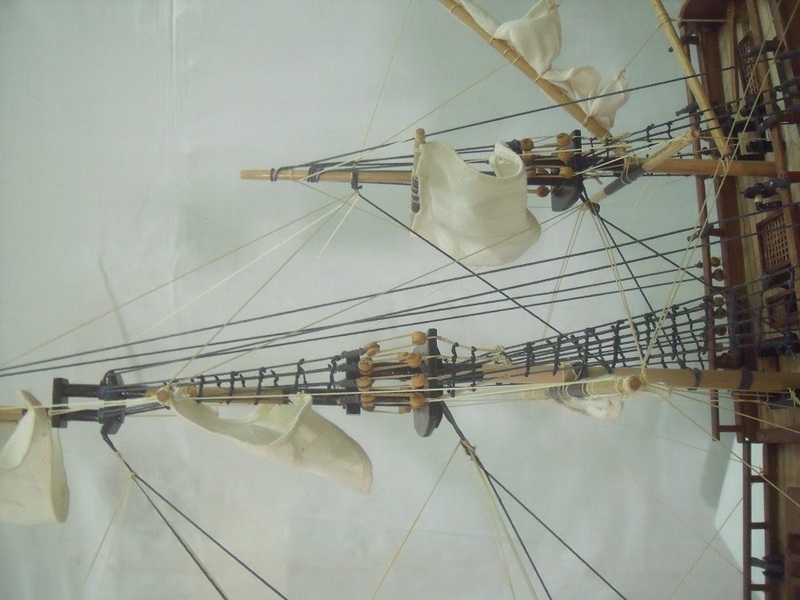 As the model is being rigged, the sails which have been dyed in tea for an oldish colour are fixed at the same time. The approval to put the model on sale will be allocated only after a meticulous verification has been done by the quality controller. We guarantee that all our models are hand-made, so each piece is unique. When choosing our models, we assured that you are fully satisfied with our products and that you will recommend our company to your relatives and friends. 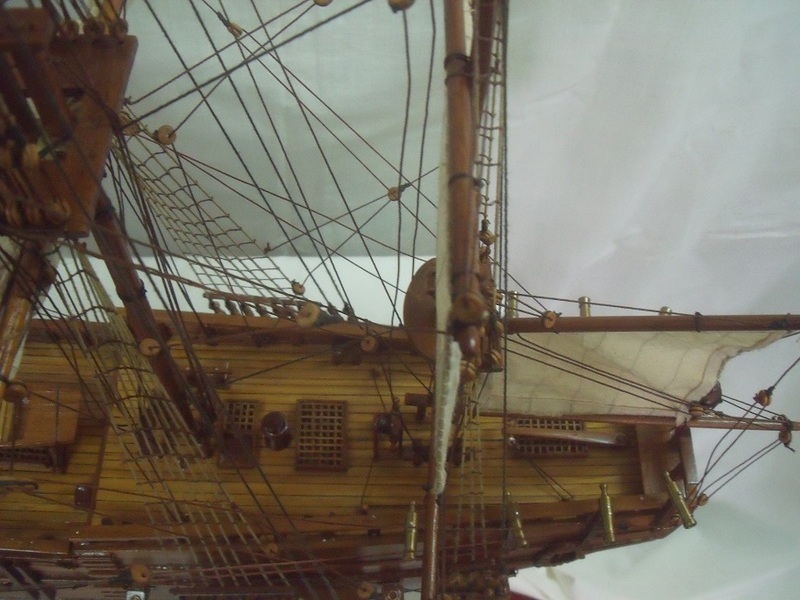 If you are looking for the perfect Model Ships you are at the right place. 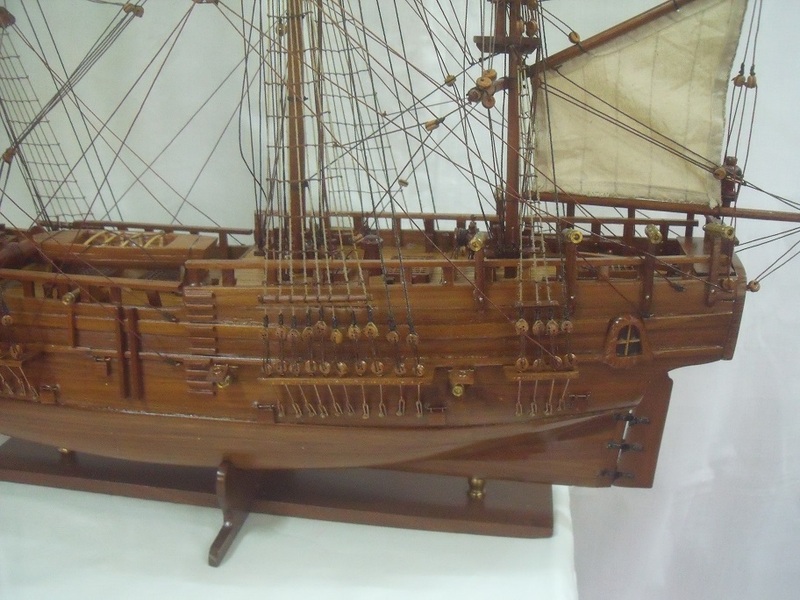 We offer scale ship models made with the finest wood and manufactured by expert artisans. 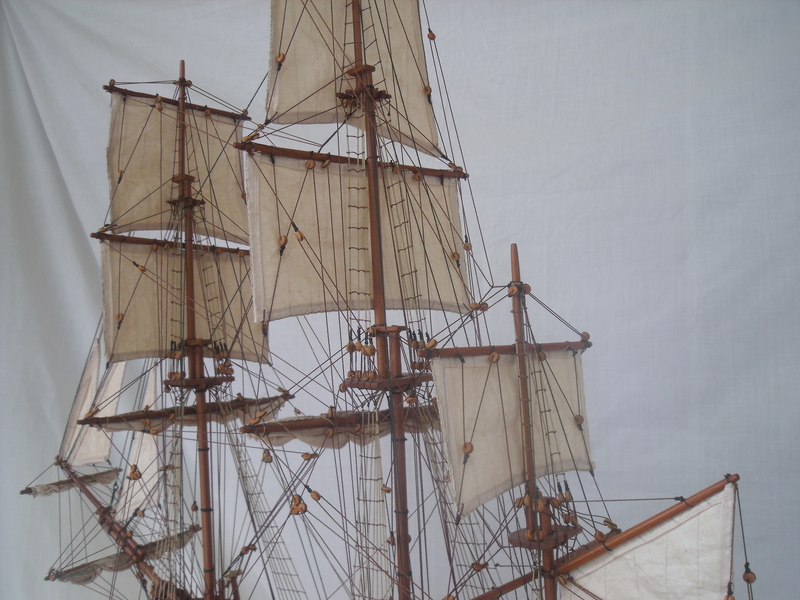 Browse our site to view the catalogue of scale model ships that we have in store. We can ship anywhere in the world and are ready to call you back to give you the best advice before you decide to purchase a model ship. Wilhems & Green Model Ship Features? 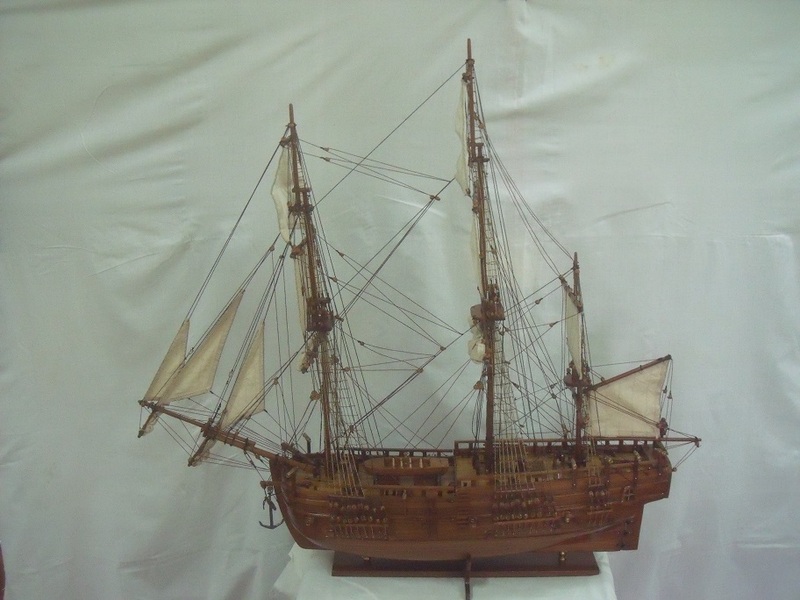 The Wilhems & Green model ships have been individually and painstakingly handcrafted by master ship modelers and professional craftsmen. 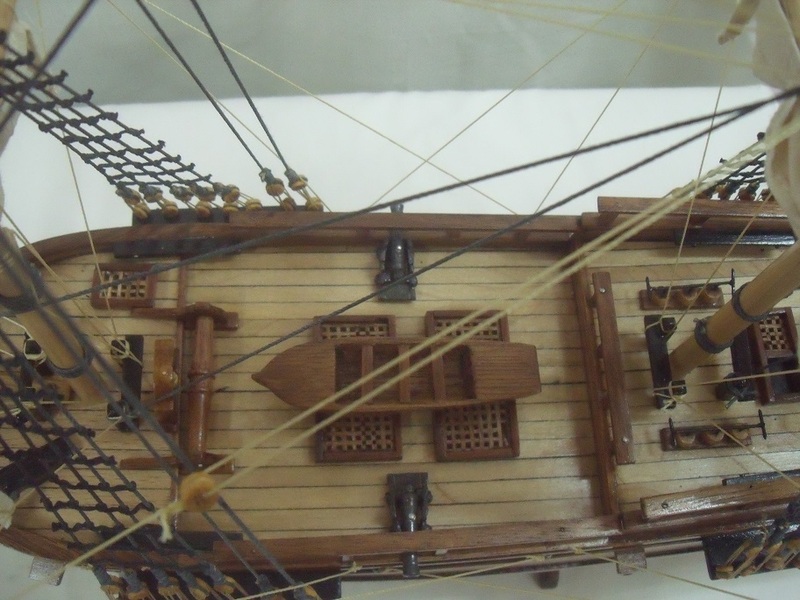 Model Ships have been designed from original plans and documents found in some great maritime museum around the world. Each Wilhems & Green model ship is meticulously and authentically fitted and takes hundreds of hours to build. 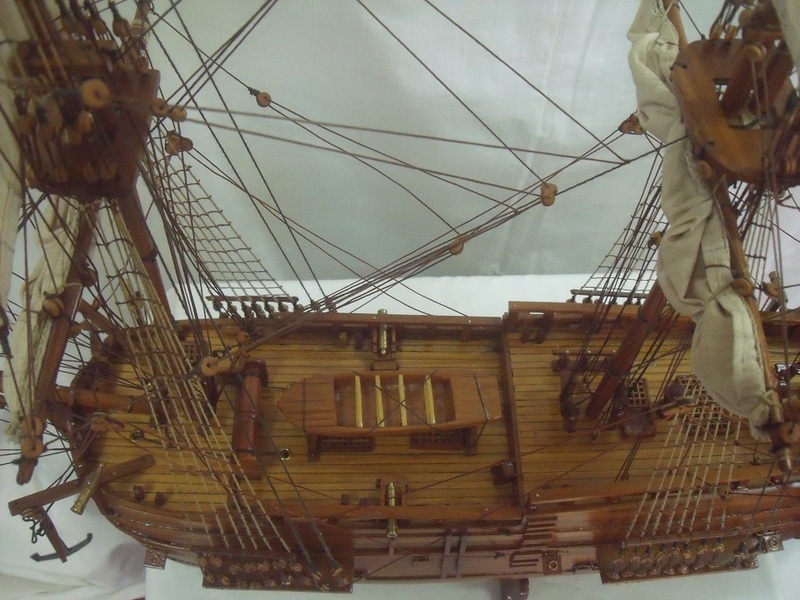 Wilhems & Green model ships are entirely handcrafted. Neither plastic nor mould parts nor fittings from kit boxes are used. The best woods are used in their production: Grade A – Teak, oak, beech, mahogany. The Hull is made mainly of Teak Wood which is among the best wood to resist environmental changes and design to stand the test of time. Based on the above, we have every confidence that Wilhems & Green model ships should form part of the world’s finest collection of museum-quality models. 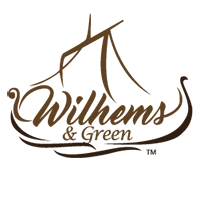 Each Wilhems & Green model ship comes with a Certificate of Authenticity and History of the Model Ship. We also offer a 100% Money Back Guarantee if you are not satisfied with your purchase owing to any misrepresentation of quality or appearance. What is the Lifetime of the Model Ships? Just like any piece of quality furniture in your living room, the lifetime of your model ship will depend on the level of care and product maintenance factor. 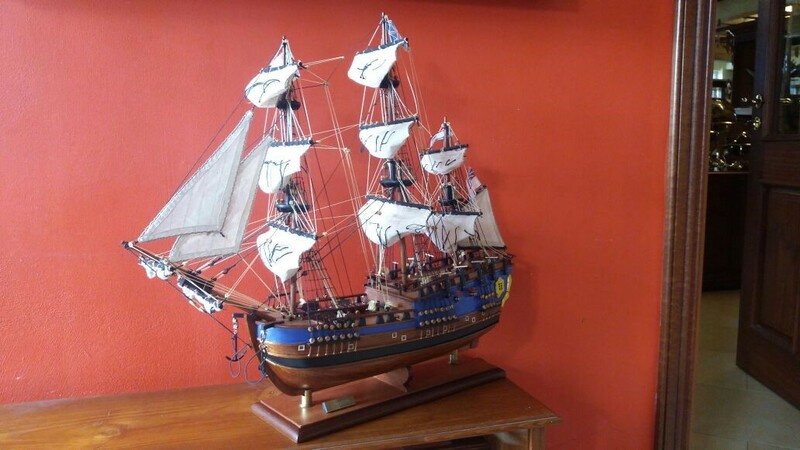 Our Model Ships are predominantly made from Teak Wood which is meant to be very resistant and will stand the test of time. We also offer a 15 Year Guarantee on the Wilhems & Green Model Ships. Terms and Conditions applies. You can also purchase a Display Case to avoid excessive tampering and touching of the product and help prolong the lifetime of your product . How long does it take to deliver my Model Ship/s purchased? We offer a Door to Door delivery service and our chosen courier in Australia is Direct Courier / Vanguard Logistics. Delivery lead time will depend on stock levels and will be confirmed at the time of placing your order. 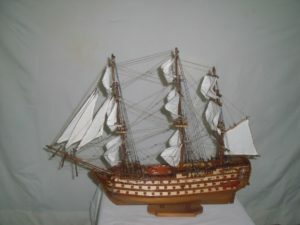 Model Ships available in stock will be delivered within 1 week and those out of stock might take up to 4 – 6 weeks. 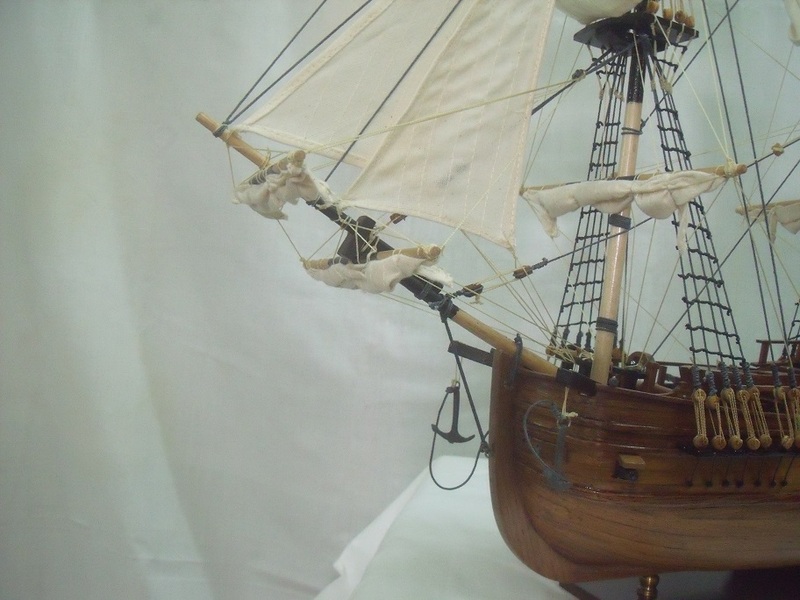 All our model ships are 100% handcrafted and building a model ship from scratch can be a long process. As most purchases are made to order, and mostly by hand, the quoted lead times can only be indicative and approximate. Your patience is very much appreciated. Is my online purchase/s Safe and Secure through your web site? Making online purchases on our web site is safe and secure. Our web address begins with https:// (the “s” stands for secure). Our Web Site has an SSL Certificate which provides a very high level of industry standard security to conduct safe, secure eCommerce transactionns, protects passwords, credit card numbers and most importantly, to secure our customer’s information. The SSL Certificate secures our web site and our customer’s browser so that all information entered on any secured page is protected. We also use ANZ eGate as a payment gateway solution which offers our client a fast, secure and simple way to make credit card payments online.